Every now and then I will invite a special guest to write about their five favourite streets (or places) in their own city and or somewhere around the world that they have managed to travel to. Today, I am honoured to have good friend and fellow writer S. Awan, as my next guest in this brand new series. Tribune Awan, as he often likes to be referred to as, is often controversial, but really he has a heart of gold and a wicked sense of humour. In short, we have shared many wonderful conversations over the past few years, in particular, on history, pop culture and music. Anyway, without further ado I will let Awan take you on his tour of his favourite places in England. Alexandra Palace isn’t necessarily one of the landmarks people talk about when mentioning London, but it has always been a special place for me. Opened to the public in 1863, it was named in honour of the then new Princess of Wales, Alexandra of Denmark, who had married Prince Edward the same year. In 1936 it was famously the source for world’s first regular television broadcast service by the BBC. It burnt down once, and has survived more than one fire, but it has remained standing, in its place on the hill overlooking so much of the city. This is probably my favorite location in the world. It helps that it’s only a short distance from where I live and that I have plenty of sentimental connection to it: at some point or another, every relationship or friendship I’ve had has passed through the grounds of ‘Ally Pally’ some time. The vast park and wooded areas around it are the perfect places to stroll with friends, hang out or meditate on life. I’ve come here with friends, with past girlfriends, with family, even for random meetings with contacts. 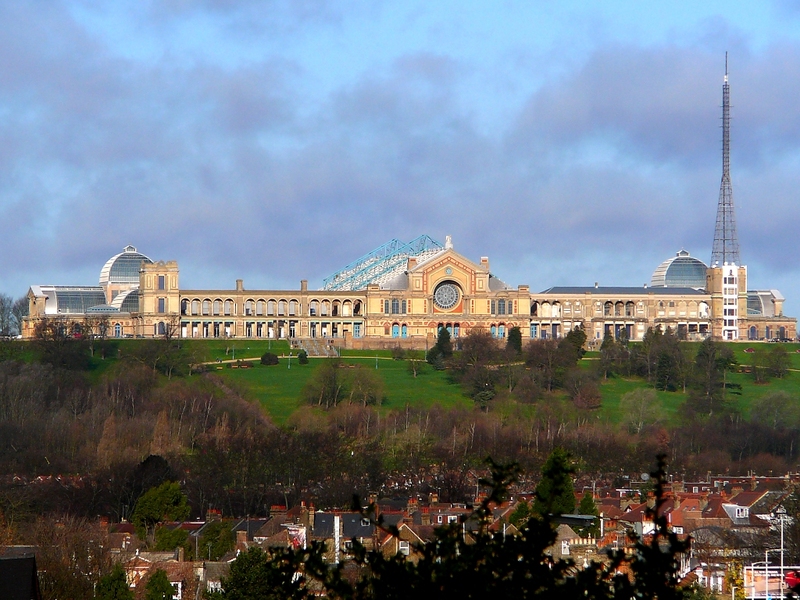 The more I think about it, the more Alexandra Palace has been a backdrop to my entire life: I came ice-skating here as a little kid, came here every year for November 5th fireworks displays, attended exhibitions here, came to the music venue to see Alice in Chains a few years ago, the list goes on and on. I also saw a ghost here once, but I won’t go into that. The palace itself offers one of the greatest views imaginable: you can literally see across the whole of London for miles, which – at night – is utterly spellbinding. I once watched a dramatic lightning storm from this vantage, watching the lightning fork all across London from one side of the city to the other. Britain has a number of Roman sites and vestiges of its Roman era, of course. One of the absolute best is the restored Roman bath house in the town of Bath in Somerset (called ‘Aquae Sulis’ by the Romans). It is an evocative, spellbinding place to visit and is one of my favorite places in the country. The site today has four main features: the Sacred Spring, the remains of the Roman Temple, the Roman Bath House itself and the Museum, which displays all kinds of items from the Roman site, including inscriptions, curse tablets, skeletons and a stunning golden mask of Minerva. The temple was constructed in 60-70 AD and the bathing complex was gradually built up over many following decades. Some of the current site is reconstruction from the Victorian era; but much of the original Roman site, particularly the bath’s logistical features, remain. When you explore this place, you feel like you’ve gone back in time and you’re breathing in Roman air. This may be a little broad or vague here, but I’m saying Camden in general. 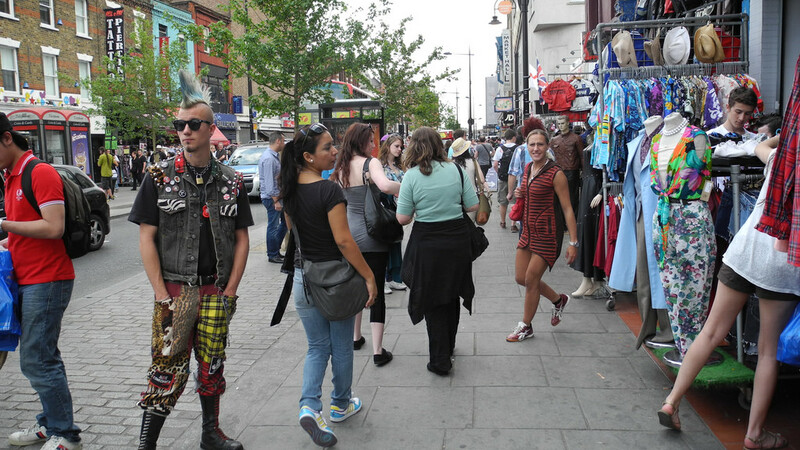 It may be a bit too trendy (although it has, according to growing opinion, lost its distinction to Shoreditch now), but Camden is generally my happiest corner in London to be; for the music scene, the bars, the street life, the markets, the canal, and everything else. The music venues really do warrant mention all on their own; I played some of them in bands and went to others as audience, ranging from the Roundhouse (The Doors played there, for flip’s sake) to small jazz cafes and intimate spaces. This is probably the London I most identify with. Not much needs to be said here. One of the world’s greatest repositories of global culture, civilisation and history, it takes multiple visits to the British Museum to begin to digest the scale of its collections; but there aren’t many places in the country I would rather be. This is where I always want to be when I seek to ponder history, the nature of civilisation and the nature of time. 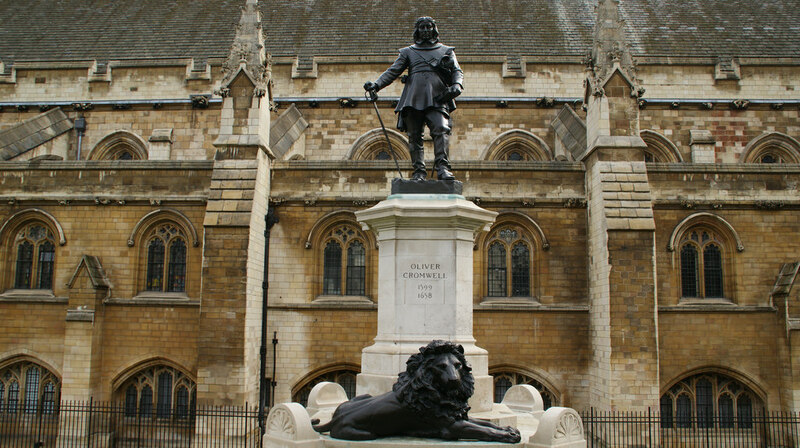 While I could cite the Palace of Westminster itself as one of the most fascinating, resonant locations in London/England, I’m giving specific mention here of the statue of Oliver Cromwell that stands somewhat outside the House of Commons. It was designed by Hamo Thornycroft and erected in 1899, but its presence was divisive even at that time: and remains divisive to this day. The most fascinating thing about this, however, is that, just across the road, set into the wall of St Margaret’s Church, is a bust of Charles I – the English King who Cromwell played a leading role in having beheaded. While most casual visitors might not notice this, the effect is that these two giant figures of British history are staring (glowering, actually) across at each other for all eternity as perpetual enemies. This idea fascinates me so much that whenever I’m in the area I try to pass by and contemplate the scene. S. Awan is an independent journalist, culture lover, student of history and professional pariah and troublemaker, navigating the depths of various aspects of our culture, politics, art, the controversial and the weird. You can discover the latest news from S. Awan via his tweeter account @BurningBlogger . You can also visit or contact him via The Burning Blogger of Bedlam website. Photo Credit: Alexandra Palace image is used under the Creative Commons Attribution-ShareAlike 2.5 license. 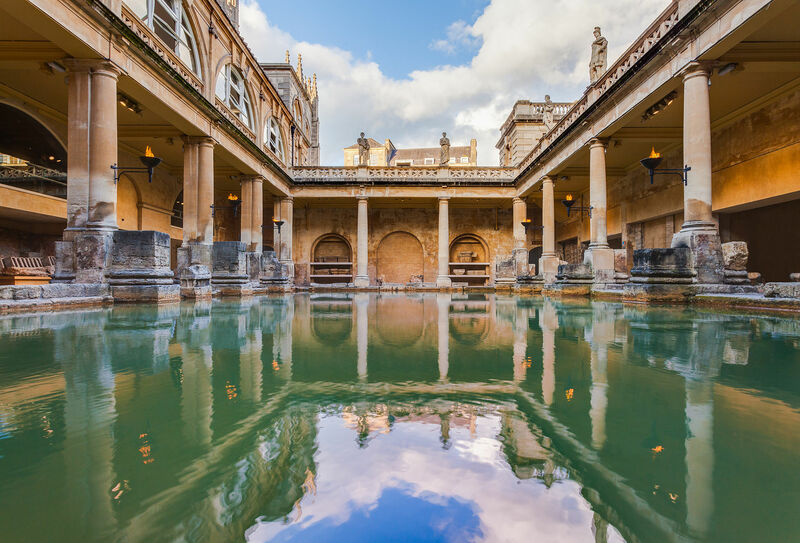 The image of the Roman Bath in Somerset is used under the Creative Commons Attribution-ShareAlike 4.0 International license. 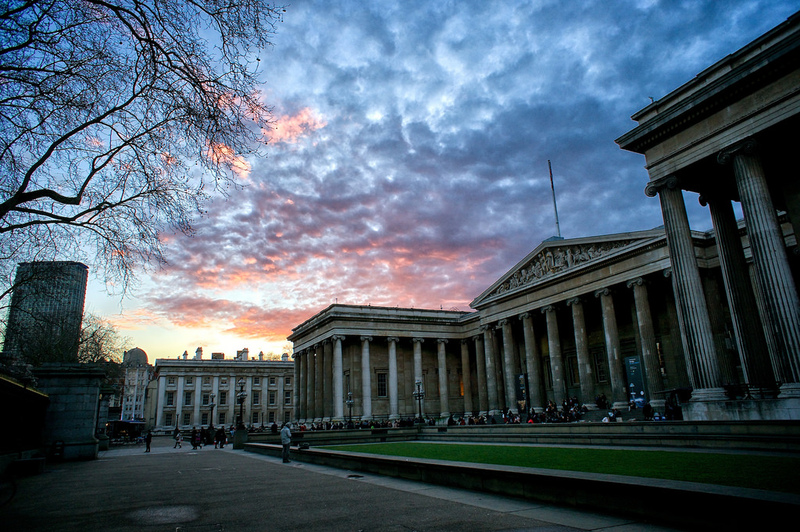 The images of Camden Town by flickr user Antonia Bugarin and the British Museum by flickr user Paul Hudson are both used under the Creative Commons Attribution 2.0 license. The image of the statue of Oliver Cromwell in front of the House of Parliament is by flickr user Dion Hinchcliffe and it is used under the Creative Commons Attribution 2.0 license.